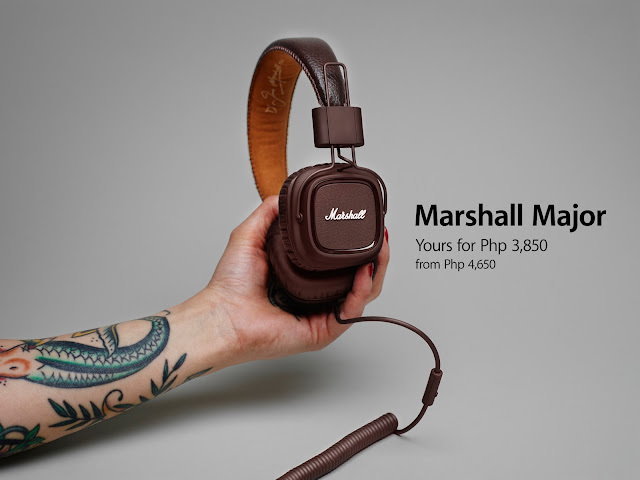 Enjoy high-end sound quality you can only get from Marshall Major I headphones. From the original price of Php 4,650, Beyond the Box and Digital Walker Stores offer the Marshall Major I for only Php 3,850. Head off to a Beyond the Box /Digital Walker store today. Digital Walker stores: Abreeza, Alabang, SM Aura, Cagayan, Cebu, Eastwood, Ermita, Eastancia, Greenbelt 5, Glorietta, Robinsons Magnolia, Mall of Asia, Robinsons Pioneer, Rockwell, Shangrila, Subic, Trinoma, Virra Mall, and UP Town Center.